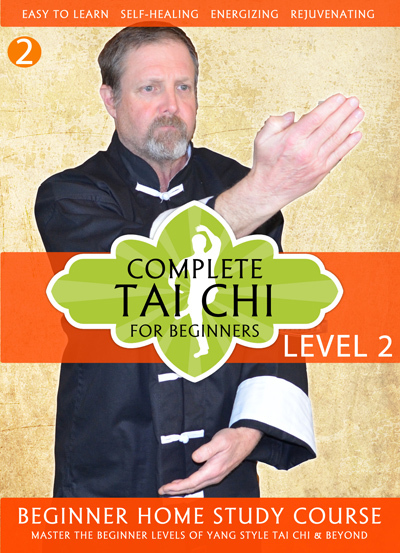 Complete Tai Chi For Beginners is a simple system of learning the fundamentals of Tai Chi and energy work in a straightforward building block method. There are four basic levels that build on each other progressively making it easy to follow and understand. Breathing Exercises – To develop deep breathing abilities. Level 1 and Level 2 guided exercises. Introduction – A simple explanation of what is in the DVD level. Warm Up – A simple low impact follow along stretching and warm up for each DVD level. The warm up routines are comprised of traditional stretching, Eastern temple exercises and Shaolin 18 Lohan. 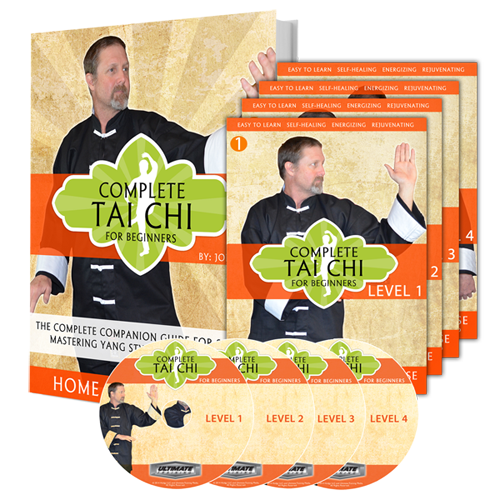 Elements – Demonstration, breakdown and instruction for each basic Tai Chi element covered in the level. 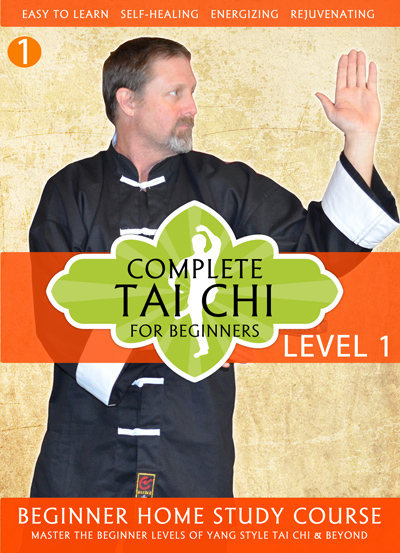 The section also includes a simple “Chi Kung” follow along routine working on the basic elements. Form – A simple pattern of Tai Chi elements strung together into a flowing form. Each level form is simple yet powerful and covers the basic elements for the level. I am physically disabled, injured, or in pain – will this help me? Tai Chi is a physical movement which brings healing life force into your body. Have you ever taken a deep breath and felt more energy? Breathing, combined with thoughtful intent, and gentle (but purposeful) movements will set you on a path of self-healing. The movements in this course can be done by anyone, and even seated with some modifications. What age is this course best for? Any age can actually gain benefit from the practice of Tai Chi and Chi Kung. It is believed that Tai Chi is only for “seniors” due to the gentle nature and low-impact movements. It is quite true that seniors get a great deal of benefit from this type of exercise; as it is most aligned with their bodily strength, balance, and endurance at this point in life. Younger adults will also benefit through an infusion of balance and life force, which compliments any regimen that you currently have; such as Karate, weight training, running, etc. What style of Tai Chi is this – what is the basis or background? 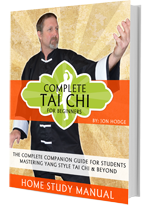 Organized by Master Jon Hodge, Complete Tai Chi is a level based certification system for beginner through the master level of Tai Chi. This system utilizes the best parts of Yang, Sun and Chen styles in a simplified progression of learning for the western mind. Complete Tai Chi is all about the flow, utilization and delivery of Life Force that has long been hidden within the wonderful eastern martial and healing art of Tai Chi. The style also includes some elements of Chi Kung, such as Shaolin 18 Lohan. Do I need to know martial arts to learn this – or is it for anyone? Tai Chi is often recognized as a martial art; as it is an exercise/movement system. Our course does not focus so heavily on learning traditional protocol, or other items that will not bring you the most benefit, in the simplest fashion. If you are a current martial artist, you will find comfort and recognition in the way that the patterns are formed at each level of the program. If you have never done martial arts, you will be able to follow along like any other fitness style program. We ship to anywhere in the world. While checking out, our payment processor will accept your credit and debit card; and the purchase will be converted to your local currency without a problem. 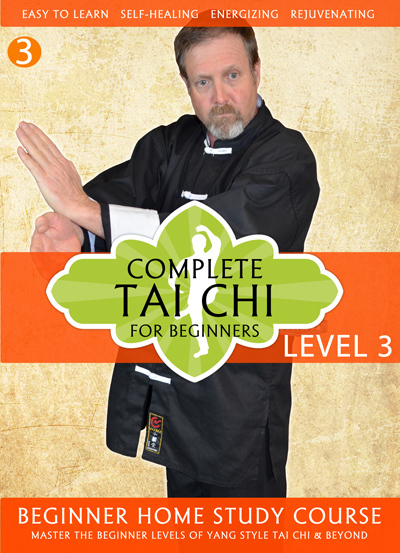 How can I earn level certifications in Complete Tai Chi? When you purchase the home study course, you will receive the DVDs, home study manual, & be enrolled as an official student. This means you have the ability to take level certification exams. 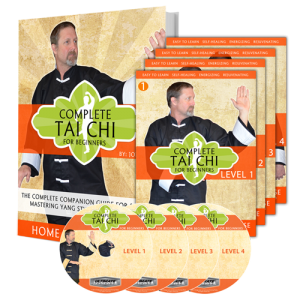 Earning a level certification in Complete Tai Chi is similar to earning a belt in Karate, or completing a level of a yoga program. Be earning levels, you can eventually become a certified instructor as well. Please click here to learn about our unique Distance Training program, which allows you to test and progress from any where in the world along with Master Jon. 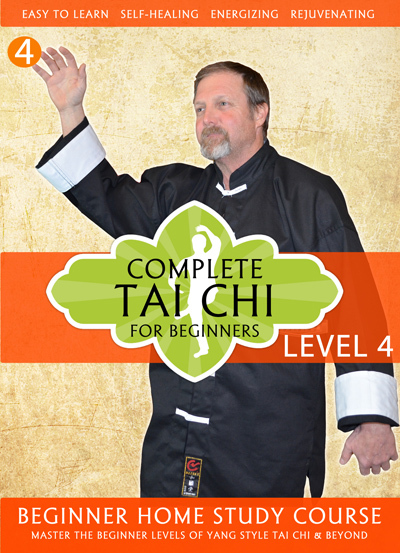 Do you offer an Instructor Certification program for Complete Tai Chi? Yes. You must first pass each level (1-4) certification exam, and then a final instructor exam in order to qualify. But, we do offer the ability to do this. If you are already a martial arts instructor, or run your own school, this can be a good path to starting your own Tai Chi class. 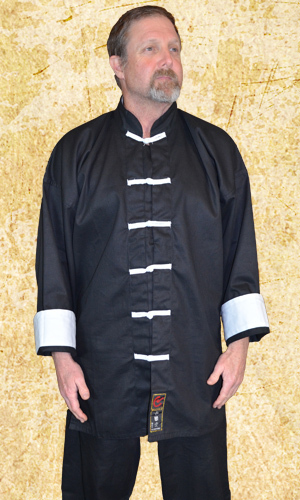 Complete Tai Chi is the result of almost 20 years of martial arts and spiritual teaching. Since 1990 Master Hodge has been actively training and teaching martial arts in various schools in the Dallas, Texas area. He is a career martial artist who constantly studies and trains in many varying styles to enhance and enlighten his mentoring and teaching abilities. At age 55 his current focus is serving others through Mastery of mind, body and spirit. 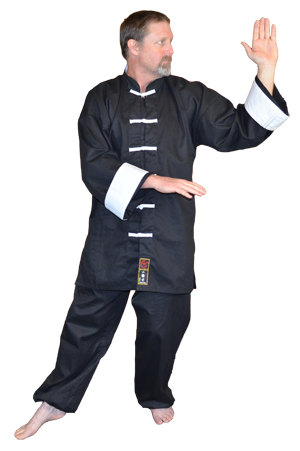 He is a recognized Master of Tai Chi and Chi Kung, and is an active board member of the Association of Martial Artists World Wide. Hear Straight from our Happy Students! I have only been studying with blackbeltathome now for a couple of weeks. I already have found great benefit to healing and what many would consider environmental stress. As I progress towards my first exam, I find different rewards from Tai Chi each day. Thank you Sensei Jon for sharing your method and techniques. I have studied Mr. Hodges' Tai Chi program for several months. The video instruction is very easy to follow and the health benefits are real. My blood pressure is significantly lower and arthritis is much better. It also helps me work through other fitness-related injuries. I'd give it 10 stars if I could. 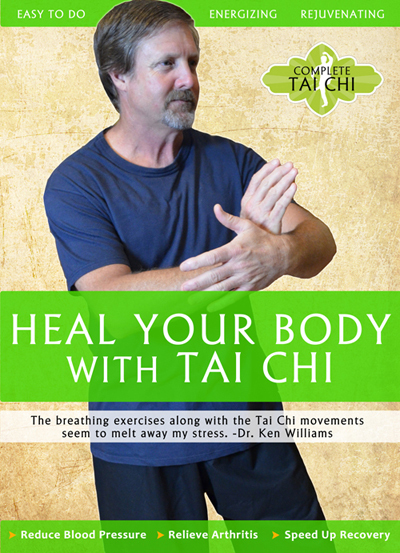 This is a great way to study the ancient art of Tai Chi. The video instruction and support are great. The Tai Chi itself is very relaxing and helps to clear the mind. I can see how this could have many health benefits. I have high blood pressure, and i can almost feel my blood pressure dropping as i do the elements. The costs are just a fraction of what I would pay in a traditional class setting.